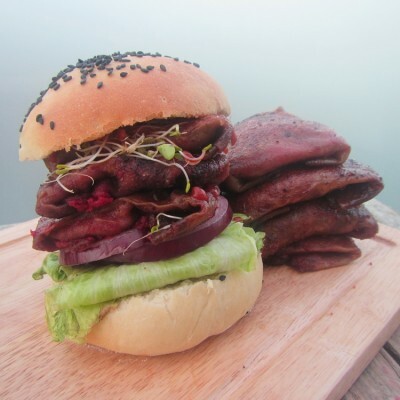 I’m a vegan private chef and recipe writer from Melbourne who spends my spare time trying to make jokes on the internet. I currently cook for private clients, teach classes and can usually be found somewhere at a vegan festival somewhere in Australia. I’ve operated a pop up ice-cream shop, worked with brands to introduce their vegan products, brought veganism to many kitchens and had my recipes shared around the world. I’m into indulgent food that looks and tastes like it shouldn’t be vegan, just to prove we can. These bad boys are really quick to make from start to finish, and if you've got a couple of ingredients that most vegan kitchens already have in their arsenal, means that you don't need to rush out to grab any hard to find ingredients! 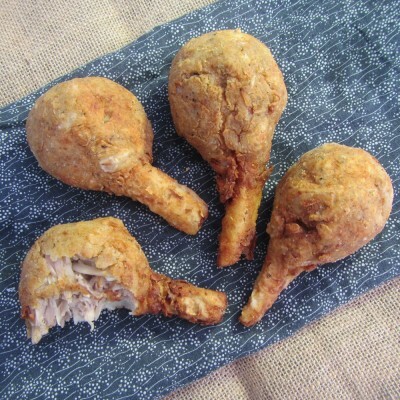 These look just like the real thing, even when you bite into them, with their crunchy outer skins, stringy insides and cauliflower bones! This can be made as a snack or full meal, and is best served with okonomiyaki sauce and vegan Japanese mayonnaise for the full flavour profile. You can vary this recipe as you please, as okonomo roughly translates to 'what you like', so the different inclusions and variations are endless! 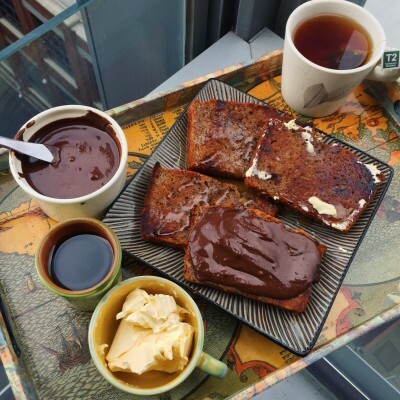 If your go to Nutella alternative leaves you feeling calorie starved, and you want the real deal, calories and all... then this recipe is for you! 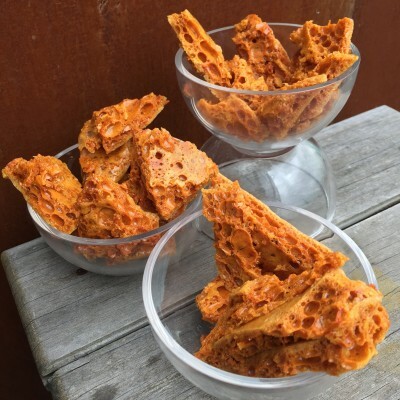 Honeycomb, the dessert classic that is sometimes called cinder toffee, sometimes called hokey pokey and almost never made using honey or honeycomb!